The Buffalo Soccer Council is in place to unite the local soccer community, and a key part of that mission will be accomplished through our events. Future Council events will be announced at a later date. If you have any ideas for an event, click here to contact us. 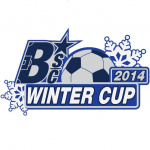 Remember that all Buffalo Soccer Council members receive a discount to Council sponsored events where applicable. To become a member, please visit our Membership page.